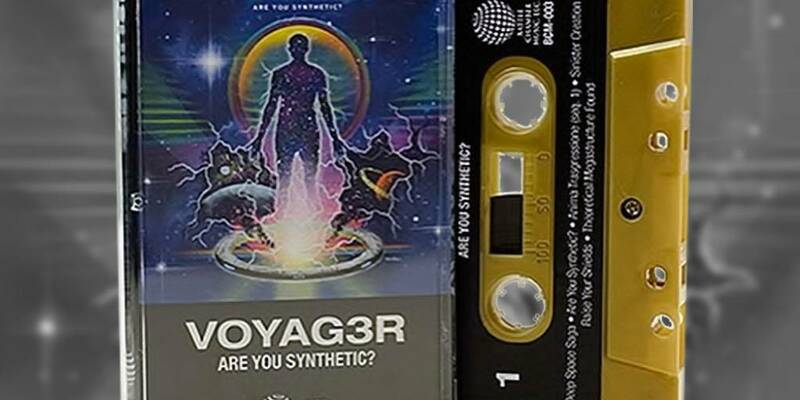 Voyag3r – “Are You Synthetic” Cassette & CD up for Pre-Order! The cassette version will be a limited run of 100 luxurious metallic gold-colored cassettes with a full color J-card, oh my. the premium feel in your hands will be sure to delight, just to caress these beautiful specimens would be exhilarating. The CD version will be available unlimited. No worries if you sleep in late, as long as you can live with yourself missing out on the cassette. You can Pre-Order at his website here, the release date is April 8th.